Sunscreen offers valuable protection, but some formulations may cause problems if your child has sensitive skin. Look for sunscreens without para-aminobenzoic acid (PABA), an ingredient that may be irritating. 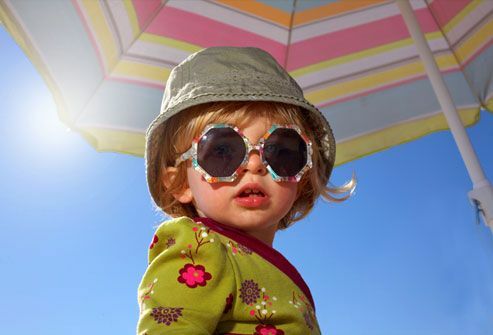 For children over 6 months old, apply broad-spectrum sunscreen -- blocking UVA and UVB rays -- of SPF 30 or higher. Using a sunscreen with zinc oxide is a good idea. For babies under 6 months, ask your doctor for advice. Good in theory, antibacterial liquid soaps may pose some risks. The common ingredient triclosan may be irritating for kids with sensitive skin. The FDA also has the chemical under review due to studies that show it may affect growth and development. For getting rid of germs, regular soap and water works just as well. It's tempting to keep baby's skin soft with lotion, but moisturizers can contain fragrances that may irritate tender skin, especially in children who already have eczema. And there are questions about whether some ingredients, such as parabens and phthalates, might cause hormonal problems. 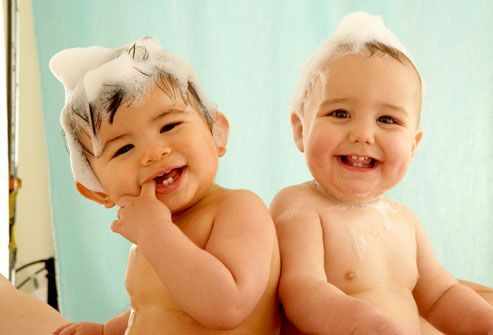 For dry skin, use mild soap, pat (don't rub) skin dry after bathing, and ask your pediatrician for lotion suggestions. 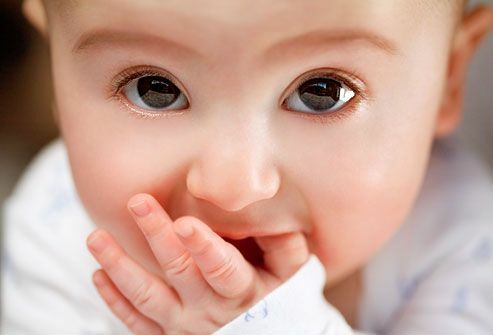 Disposable baby wipes certainly have a job to do, but they may contain alcohol and any number of fragrances that cause skin irritation. 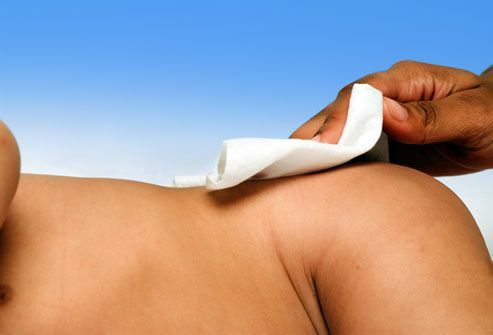 Some wipes also have preservatives that can trigger allergic contact dermatitis -- a rash or hives from contact with an allergy-causing substance. Instead, use wet washcloths. When you're traveling, keep wet washcloths in a resealable sandwich bag. The chemicals in some laundry detergents may trigger irritant contact dermatitis -- a rash from touching something that irritates the skin. It is more common in kids who have eczema. To help prevent it, use a mild detergent without added perfumes and dyes. In addition, make sure to rinse all your child's clothes, bedding, and towels at least twice in order to remove detergent residue. Check the ingredient label before lathering your child's hair. Some fragrances and chemicals in shampoos and conditioners may bother sensitive scalps. Research also has identified some ingredients like phthalates, formaldehyde, and 1,4 dioxane as possible health concerns. To be safe, look for natural products with the fewest added fragrances, chemicals, and overall ingredients. 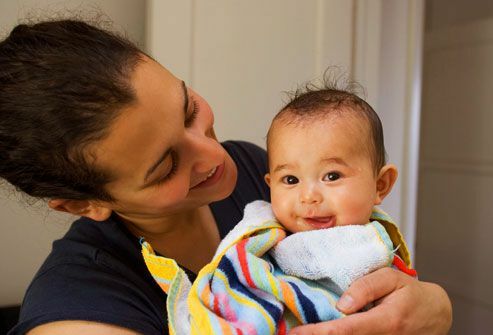 If your child has sensitive skin, you may want to avoid liquid fabric softeners and dryer sheets. These products may include chemicals and fragrances -- like limonene and benzyl acetate -- that can irritate skin, eyes, nose, and throat. 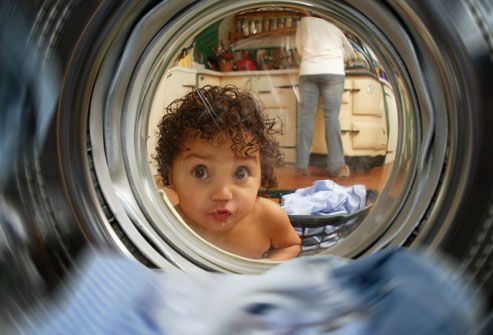 Instead, try adding 1/2 cup of baking soda or 1/2 cup of vinegar to your washer's rinse cycle to keep clothes soft. The term "nontoxic" is not regulated, so read the ingredient label on household cleaners. For example, alkylphenol ethoxylates (APEs), which are found in some detergents and disinfectants, may cause hormone problems. Ammonia can irritate lungs, burn skin, and is poisonous if swallowed. 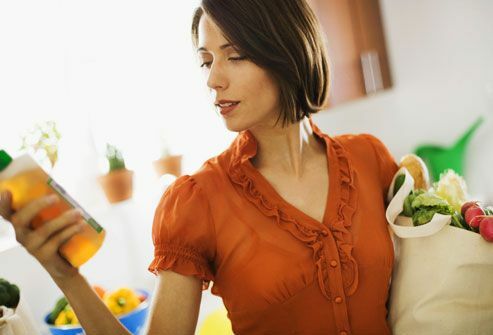 Look for products with fewer added chemicals or clean with water and baking soda or vinegar. Some soap -- even products labeled for babies -- may contain formaldehyde, a preservative that can cause skin, eye, and lung irritation. 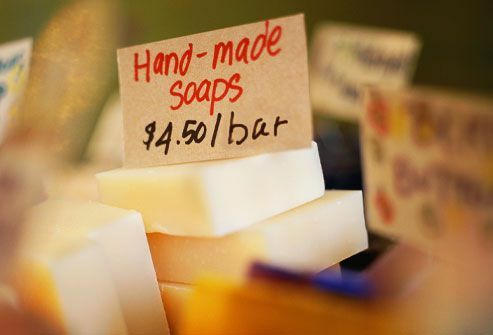 Soap also can trigger eczema -- inflamed and irritated skin. Eczema is most common in babies and young children, especially if they already have allergies or asthma. Look for products without fragrances and chemicals. Avoid combination DEET bug spray and sunscreen. Research shows that the chemical may be absorbed more readily into the skin when combined with sunscreen and the DEET may make the sunscreen less effective. The American Academy of Pediatrics recommends using repellents with no more than 30% DEET on children. 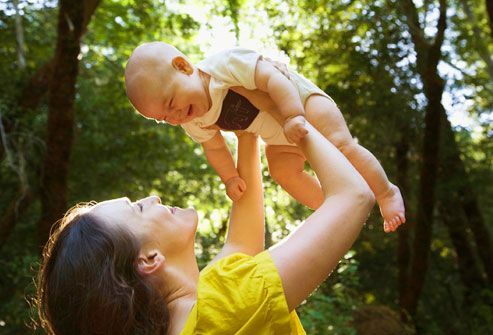 Insect repellents are not recommended for babies younger than 2 months. Because babies and toddlers spend so much time on the ground, whatever pollutants have built up on your floor and carpets can find their way into your child's mouth. Pesticides and other toxins get tracked in with house dust. Kids touch it and swallow it when they put their hands in their mouths. Make sure to clean all home surfaces -- especially floors -- with safe cleaning products. Cooper, S. Journal of Exposure, Analysis, and Environmental Epidemiology, January/March 1995. DiNardo, A. Contact Dermatitis, August 1996. Environmental Working Group's Cosmetic Safety Database. Eskenazi, B. Environmental Health Perspectives, June 1999. Gardner, K. Archives of Dermatology, June 21, 2010. Healthy Child, Healthy World web site. Lewis, R. Environmental Health Perspectives, September 1999. U.S. Department of Labor, Occupational Health and Safety Administration.